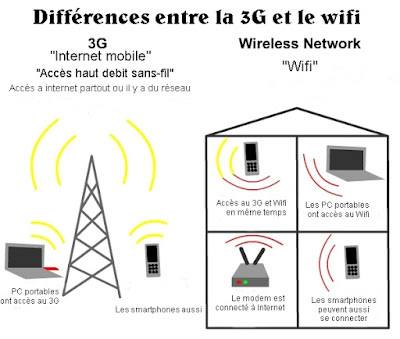 3G and Wi-Fi are communication technologies to access the Internet without son. They are commonly used by devices such as laptops, smartphones, and entertainment gadgets. The main difference between WiFi and 3G is how they connect to the Internet. 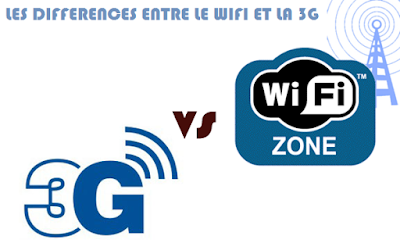 3G is a type of cellular network that seconnecte Internet from mobile phone antennas. This means that its scope is much longer than a wireless network. Internet access via your mobile carrier generally has a higher cost than the wifi, especially when traveling abroad and using international roaming.